Item # 307031 Stash Points: 5,495 (?) This is the number of points you get in The Zumiez Stash for purchasing this item. Stash points are redeemable for exclusive rewards only available to Zumiez Stash members. To redeem your points check out the rewards catalog on thestash.zumiez.com. 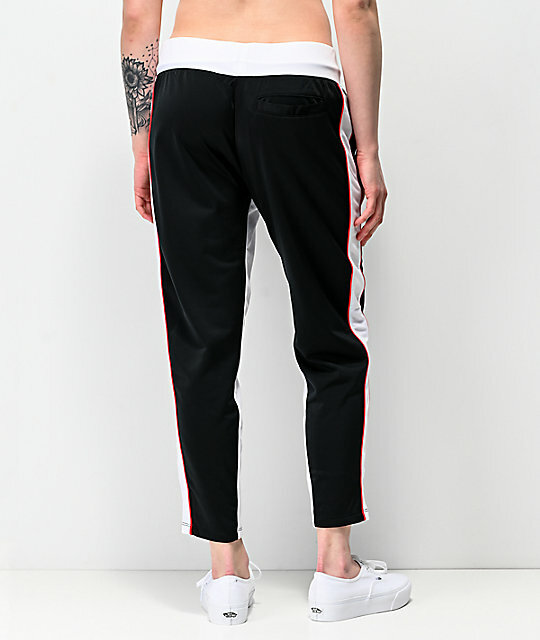 Upgrade your athletic wear with the black slim track pants from Champion. 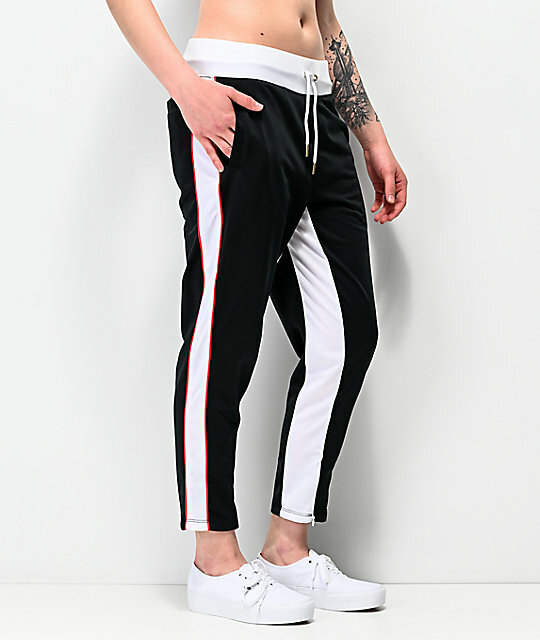 These black pants are highlighted by a white drawstring waistband and white striping on the inner and outer legs while the outer leg is further detailed with red piping. 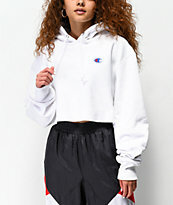 Complete with a rose gold Champion "C" with a crown on the left thigh, rose gold zippers pulls at the ankles and three total pockets, these track pants are fit for a queen. 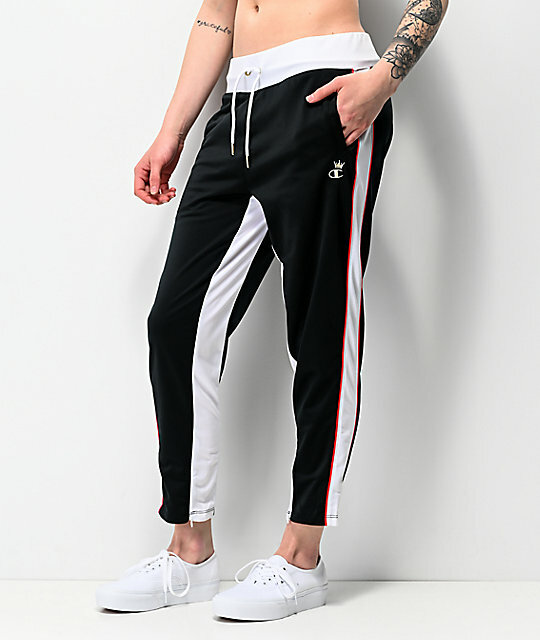 Black Slim Track Pants from Champion. White track pant material at the inner and outer leg seams with red piping on the outseam. Champion "C" patch at left thigh. 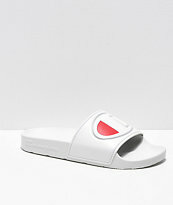 Straight fit with tapered ankle.